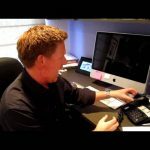 There are way too many licensed agents in real estate today! And yet, in most markets 50% of the licensed agents haven’t closed a transaction in the past year. Most deals are done by a very small percentage of top producers. It’s very common to see 80% of all transactions being done by just 15% of the agents in a market. 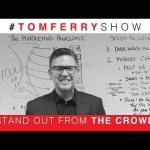 In this episode of the #TomFerryShow I’ll give you 6 steps for standing out from the noise! 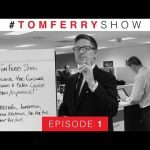 18 Responses to "Get Noticed And Get More Deals | #TomFerryShow Episode 64"
where do i tell my customers to review me? yelp? zillow? thumbtack? my website? google? realtor.com? New but on a team. This is my third time to watch and I am progressively applying the techniques in this vide. And to get reviews when you are a new agent? Should you have previous co-workers put reviews about your fabulous customer service even if it’s not RE related? Because I rocked it at taking care of my CEO’s and co-workers, etc. I am just starting out in real estate and I know to be successful you need to learn and surround yourself with those who are successful. in my process I came across your video’s and as you said I connected with you and what you are doing great work! Great! I’ve got 78 5 star reviews on Zillow and it makes a difference! 86 5 Star Reviews on Zillow and counting! 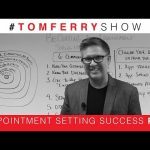 I’m on my second replay of this one today – so much good stuff! Hi Tom!!! Im new to real estate, literally just passed my exam, I had a question for you, Can social Media make/break me? Just wanting to know if future prospects look into these things, btw I just discovered your show and watched 12 in a row!!! Hi Tom: I love your videos. I just started my own brokerage in April of 2016 and 2 days after my decision I received a call about my health. (See chemo cap left.) Now that I am in the clear (God willing) I am ready to give it my all. Do you have any suggestions on how to attract good agents? I have 2 agents but they have full-time jobs. I really want someone I can roll play with and rely on to convert. (I spent about $1000 on Bold Leads this summer while I was going through treatments and I gave them all to my office manager, who, was my only agent at the time. She did not convert one lead! Talk about a waste of money!) Now I have the energy to work hard and I know my efforts are going to reward me and not another. (Like when you work for a broker and have to give them a split after working so hard.) Any ideas on how to attract top tallent? Retain top tallent? Mr Ferry, I wish I could transplant all of your knowledge into my brain. I’m currently in a very secure decent paying job in Pittsburgh. I LOATHE it though haha. Im terrified to quit and jump into real estate 100%. Do you have any advice?